Marcella Hazan has done to Italian cuisine in America, what Julia Child has done for French cuisine. 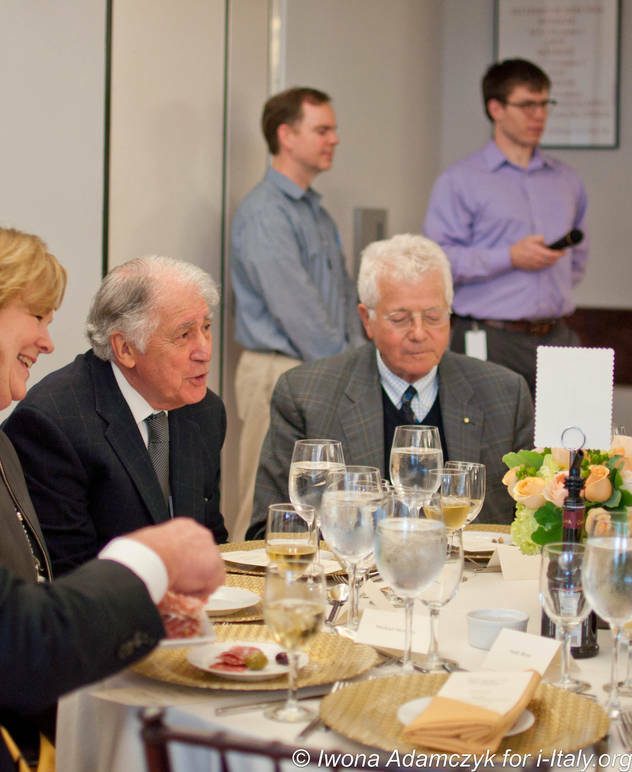 The celebration of what would have been the ninetieth birthday of Hazan was also a launch and a nationwide fundraised for The Marcella Hazan Scholarship at the ICC, which will provide funding to students at he ICC's Italian Chef Course in the name of the legendary cook. The fifteenth of April is no longer simply tax day. This year the International Culinary Center in New York has made it widely known as the day Marcella Hazan was born. 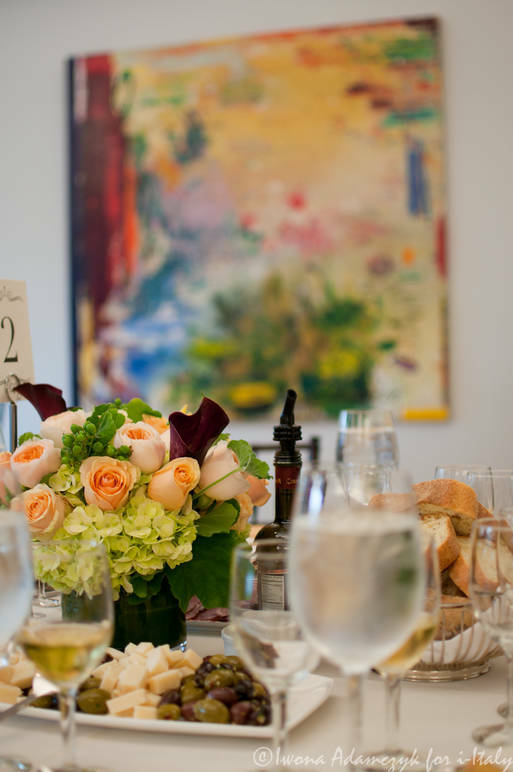 Hazan has done to Italian cuisine in America, what Julia Child has done for French cuisine. Not only did she teach at the ICC, but has inspired lives of many American housewives, while introducing them to the magic behind the simplicity of taste and flavors of Italian home cooking. A graduate of natural sciences and biology from Northern Italian Universities, Hazan found herself on the other side of the Atlantic, when she followed her husband Victor, who was summoned to New York to work for his family fur business. Alone and surrounded by an all new world, Marcella, partly missing her motherland and its flavors, and partly bored as she awaited her husband's return from work, began spending her days in the local markets and her own kitchen, experimenting with ingredients, teaching herself how to create dishes she recalled from back home. Victor Hazan spoke fondly of his late wife during the event held in her honor by the International Culinary Center this past Tuesday: "Marcella had science degrees, and no knowledge of cooking, but somehow she knew exactly what to mix together to create the most tasty dishes, she knew exactly what to put in that pot… and most importantly she knew what to leave out of it, which is equally if not more important." 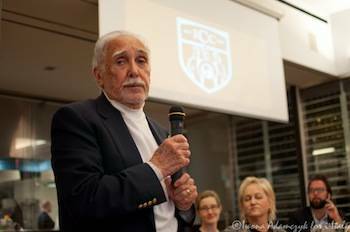 The celebration of what would have been the ninetieth birthday of Hazan, who sadly passed away last September, was also a launch and a nationwide fundraised for The Marcella Hazan Scholarship at the ICC, which will provide funding to students at he ICC's Italian Chef Course in the name of the legendary cook. For that is who she was a cook. 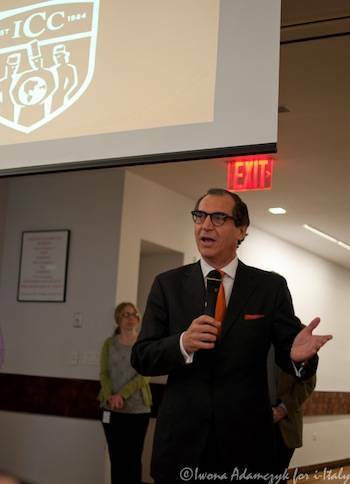 Giuliano Hazan, her son who demonstrated his cooking skills to the audience during the event emphasized: "She never wanted to be known as a Chef, she didn't lead a restaurant, and that's what Chefs do, she wanted to be called a cook, because that's what she was." When asked what this celebration means to him he proudly responded: "It's a testament to the effect and the influence that my mother had on how people eat, how people cook and how they live." 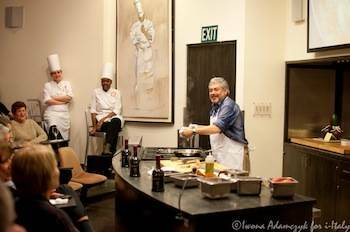 The International Culinary Center will remain the only place that Marcella taught in the U.S. She strongly believed, and made cooks understand that "recipes in books are just blueprints and that they are the real architects, and it is the cook's choice, based on mood, taste and product availability to alter what is being prepared accordingly." 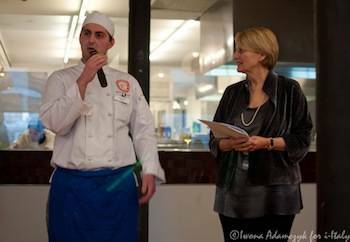 The ICC wishes to keep Marcella Hazan's name and legacy alive for years to come with the establishment of this scholarship which will send promising cooks on a seven month Italian Culinary Experience beginning in either NYC or California and continuing in Marcella's home province of Emilia-Romagna in Italy. During the fundraising week, which kicked off on what would have been her birthday, leading chefs and restaurants all over the United States are to feature a dish inspired by Hazan's Busara-Style Pasta Sauce, from her cookbook Marcella Cucina. Busara in Italian stands for "a mess," therefore expect to taste exactly what she was teaching, the personal touch of each of the participating chefs. A portion of the proceeds from the sales of the dish in the participating restaurants will go toward the scholarship. New York City's Mayor, Bill de Blasio sent an acknowledgment for this occasion to be read during the celebration. "Passing on the flavors and traditional cooking techniques, Hazan introduced America to the warmth and hospitality of home cooked Italian food and in the process helped bring friends and family together at the dining table," it read. New York's famous restauranteur Tony May spoke warmly of the beloved cook: "I knew Marcella very well. She may very well be the only Italian that taught Italian cuisine according to the authentic tastes and flavors of our cuisine. And she was not one to compromise, just like I do compromise in my restaurant, therefore I could not be but in tune with what she did. 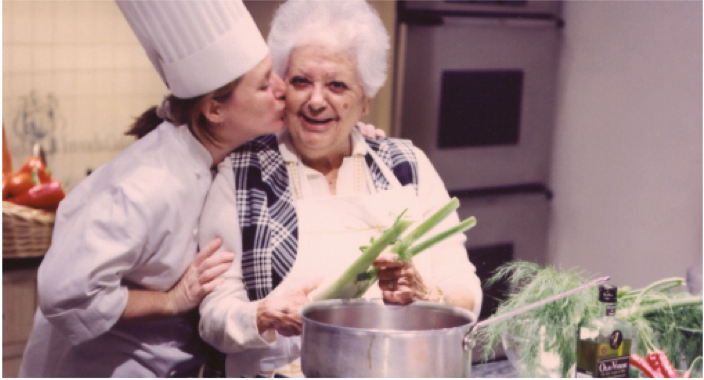 When she passed away, I must admit that I cried, and she is truly missed and we are here to make sure that she will not be forgotten, because she was the mother of Italian cuisine in the homes of American women." He went on: "In the end Italian cookbooks in America are written by Americans, we do not have cookbooks written by Italians, the only one that wrote in Italian was Marcella, and she certainly was the toughest, most persistent and most natural of all. She was an incredible woman, and she always had mad fun living, she is a woman worth remembering, especially within the ambience of Italian cuisine." 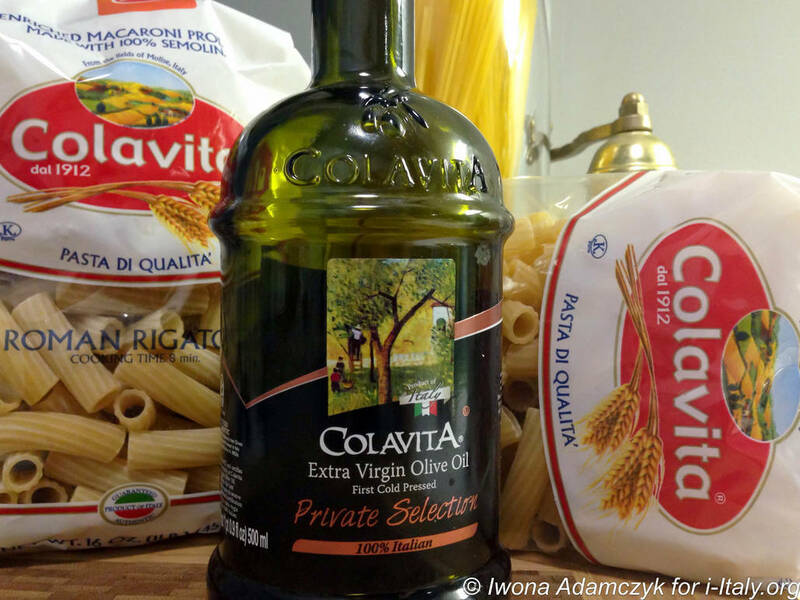 John Profaci, Chairman Emeritus of Colavita, one of the sponsors of the event stated: "I never had the pleasure of meeting Hazan, but our two lives parallel each other, when I started 35 years ago nobody knew what extra virgin olive oil was, and now…. look at the industry we created. Colavita proudly sponsors events such as this one. We stand behind the simplicity and authenticity of our products, just like Marcella stood behind the simplicity and authenticity of Italian cuisine. It is important for our company to be present and support these initiatives, it lets us share not only the success of our products but the centuries of cultivation of a culture that stands behind it and allows us today to still share its simple innovation, riches and health benefits. We are happy to see young talent in the culinary arts longing to follow in the food steps of true Italian cuisine, in the footsteps of cooks like Marcella Hazan." The event was also attended by the Italian Trade Commissioner Pier Paolo Celeste, who clearly announced the importance of the presence of the Italain Trade Agency at the event: "One of main direction of the ITA(ITC) is to push forward everything that is Italian, and one of the mainstream from italy is our food and our wine. That's what defines our culture, and anything on a serious level that involves food and wine has ITC on its side. And we are also extremely happy to support the new chefs, many of which have a natural inkling towards the Italian lifestyle and Italian cuisine."